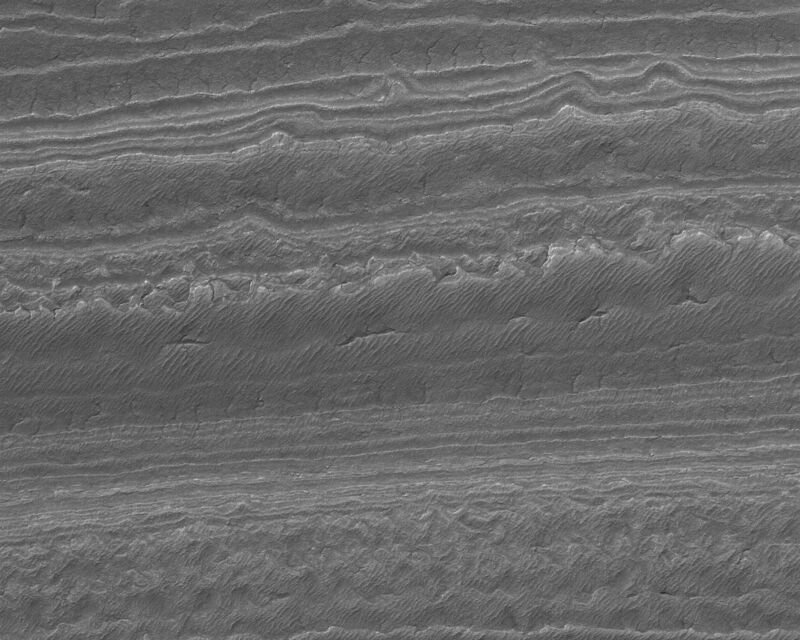 This Mars Global Surveyor (MGS) Mars Orbiter Camera (MOC) image shows an eroded landscape in the south polar region of Mars. Layered material has been exposed to create a complex pattern of steps and low, isolated mesas. 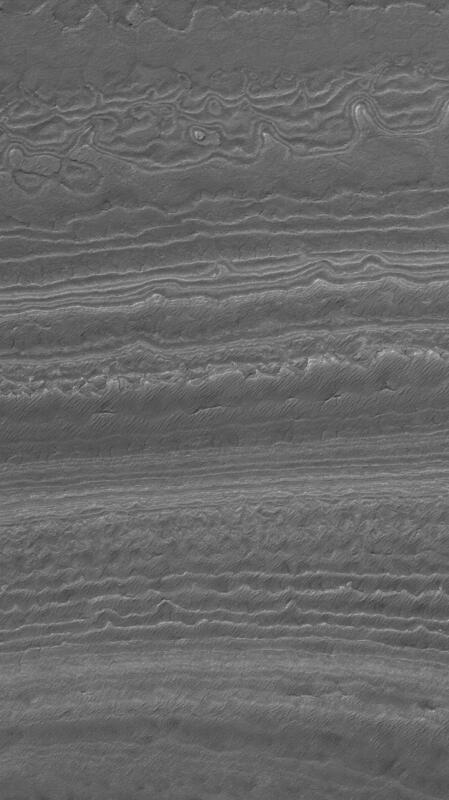 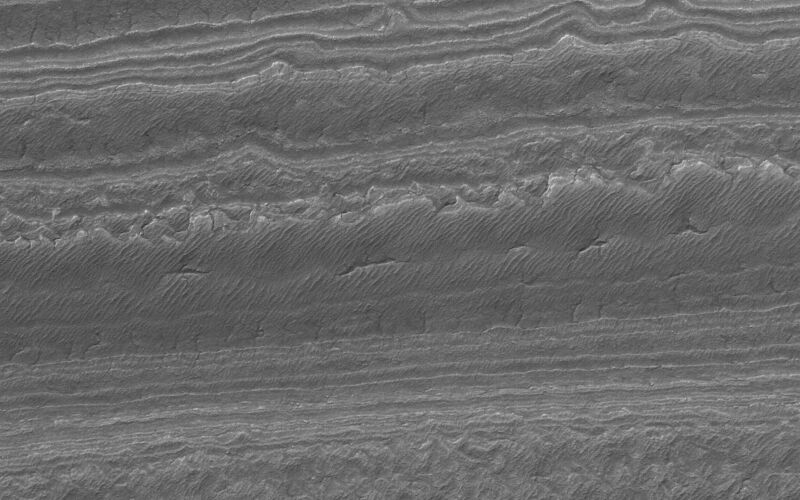 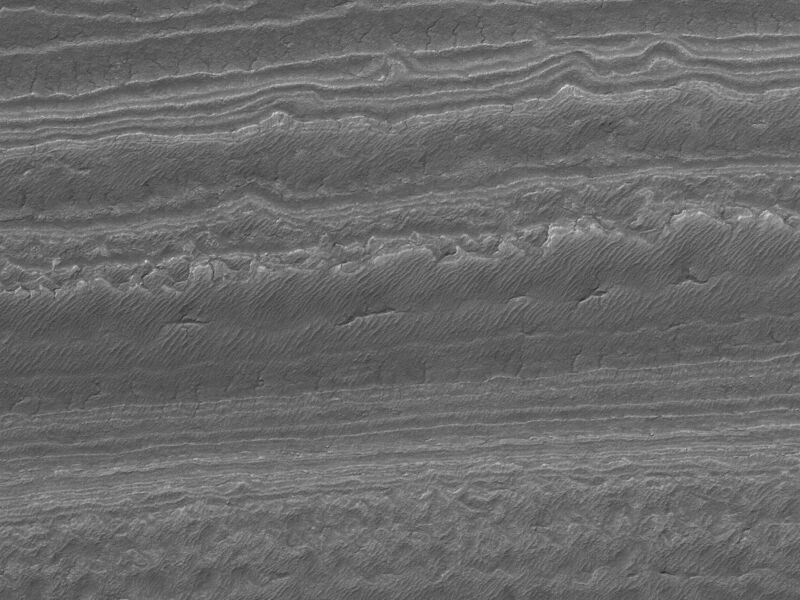 The material has also been cracked, and semi-parallel ridges on some of the 'stairsteps' may be old, windblown ripples.